Israel’s Prime Minister and leader of the Likud party invited Prime Minister Viktor Orbán to visit. Authoritarian Orbán is generally not a welcome guest in the EU or North America; President Obama and Trump have never invited him to the White House. Mr. Orbán is creating a new history for Hungary, a heroic one. His regime has decided to downplay or outright erase some uncomfortable facts from the country’s WWII history. According to this new story the Hungarians were victims of the great world powers and shouldn’t be blamed for the tremendous loss of lives in the Hungarian Holocaust. The problem is that many of the crimes against Jews were committed by Hungarians, some of who were even convicted. It is quite shocking that 70 years after WWII, Mr. Orbán praises pro-Hitler leader Miklós Horthy. It comes as no surprise that Israeli politicians have called to cancel Orbán’s invitation. 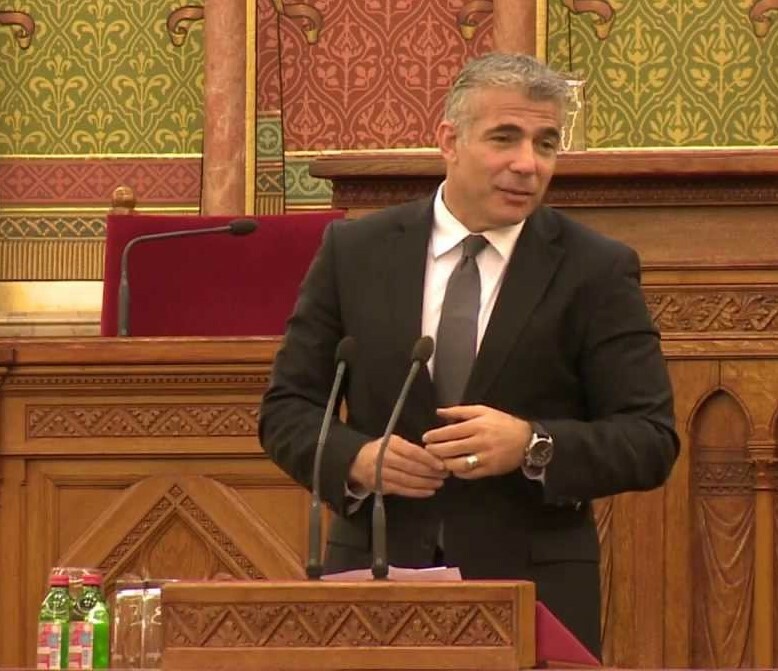 Member of Knesset (Israel’s Parliament) and leader of the Yeish Adit party Mr. Yair Lapid, whose late father was Hungarian Holocaust survivor has said that “Viktor Orbán should not visit the country…. Orbán is the man who said that Miklós Horthy is a great leader. He murdered my grandparents in Hungary. And the very fact that Netanyahu is making us the best friends in the world of these regimes in Europe is worrisome.” In 2013 Mr. Lapid spoke in the Hungarian Parliament and told that during the Horthy regime there was a sign on the building: “No dogs and Jews allowed.” Ms. Tamar Zandberg, chair of the Meretz party, also wrote a letter to Netanyahu demanding that Orban’s visit to the Jewish state be nixed. It is worth mentioning that Mr. Lapid’s father Tommy, a well-known Israeli politician and journalist, was born in Novi Sad (Újvidék in Hungarian) as Tamás Lampel and survived WWII in Budapest with the help of Raoul Wallenberg. Mr. Reuven Rivlin, Speaker of the Knesset at the time was so upset that he canceled Mr. Kövér’s invitation to Israel in 2012. Today there are countless new statues, plaques that praise Hungarian fascists and falsify events of the Holocaust. The Orbán government has built a cottage industry to manufacture “evidences” and rewrite the life of war criminals. You may ask: How was this possible? Well, the Orbán government even created a fake anti-Semitism “watch group” called TEV (Tett és Védelem) controlled by a tiny government-paid, Chabad-connected group. Hungary’s main Jewish organization (MAZSIHISZ) does not participate in the “work” of TEV. They publish statistics and find anti-Semites among Mr. Orbán’s political enemies. No ruling Fidesz party member or ally of Mr. Orbán have ever been accused of racism or antisemitism. TEV even blames the United States for spreading anti-Semitism since the server of a notorious fascist site (kuruc.info) was registered in the US. Kurucinfo’s content has been written and loaded in Hungary for more than a decade, yet TEV is unable to find the perpetrators. 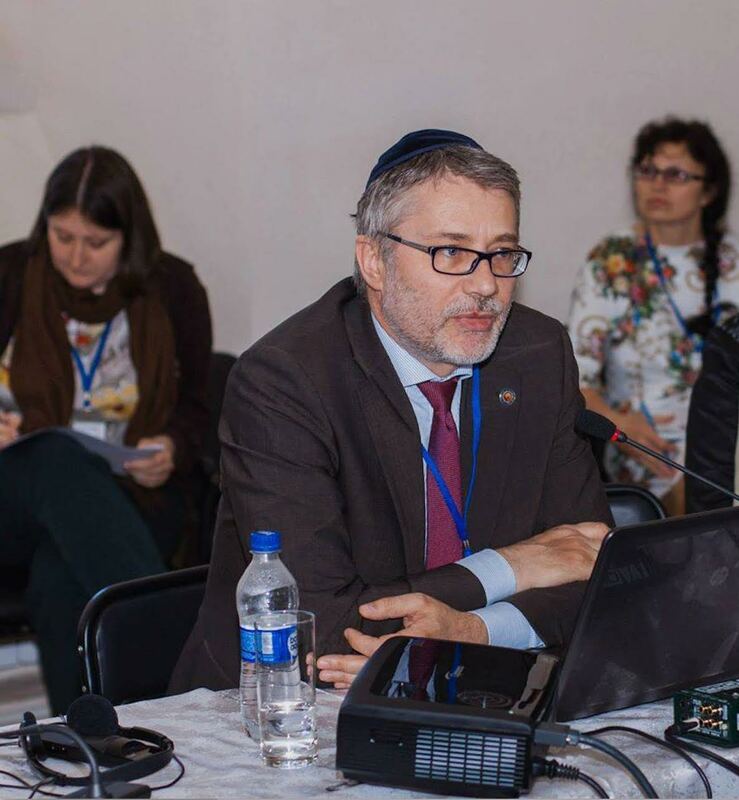 TEV is run by Fidesz Chabad operative Mr. Kálmán Szalai who recently converted to Judaism. Mr. Orbán and Mr. Netanyahu are friends and shared the same political and campaign advisor, the late Mr. Arthur J. Finkelstein. They both paid him handsomely. Orbán recently also hired two US-based Israeli lobbyists, Tzvika Brot and Ariel Sender. Brot is close to Netanyahu, the Israeli Prime Minister even offered him the job of director of communications but Brot declined. Hungary needs to take a second look at its institutionalized racism and the country needs a “denazification” program. As a first step, I suggest the removal of the more than fifty recently installed Albert Wass statues. It is appalling that a convicted WWII war criminal whose writings are popular on American Nazi websites like Stormfront is highly revered by Hungary’s government officials. It was called “real lived socialism” because the ideology of socialism did not work, which was through and through fascist. Therefore, those in the East, for example also a lot of East Germans, are fascists. Why Jews want to be fascists? … … how can such Jews as Netanyahu or his followers get excited about fascism in the future? 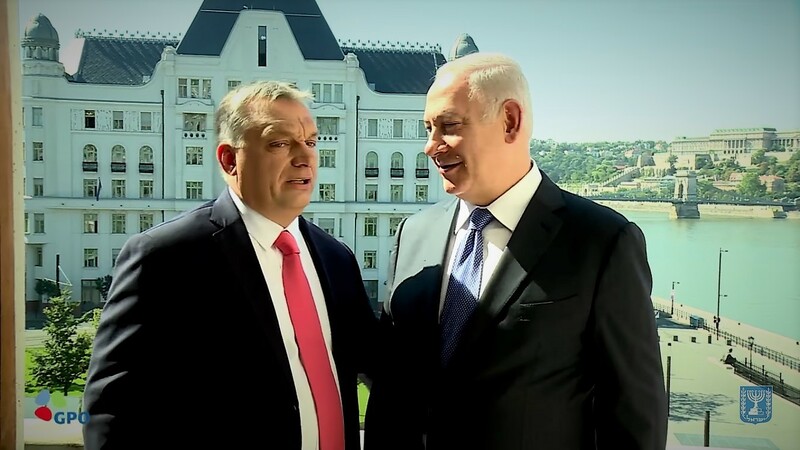 Netanyahu and the many, many Jews who align themselves with Orbán should wither away in shame for their disgustingly short-sighted behaviour and utter stupidity. Dear Mr. Lazar. 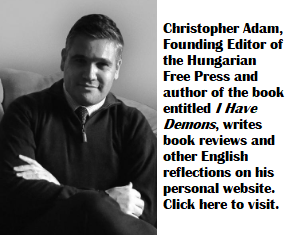 I brought to your attention before the outright insulting aspect of you constantly citing the Romanian justice system and its decisions, when it comes to any Hungarian. A Romanian court found Wass Albert to be a “war criminal”? Well, that was back during the times of the communist-nationalist period, when Romanian courts had little credibility, especially when dealing with ethnic Hungarians. Right now, with Romania being an EU member, some ethnic Hungarians are facing “terrorism charges” and jail time, for the grand plot of wanting to set off some firecrackers during Romania’s national day celebrations. Now, I don’t know how much you know about fireworks, but their slow exploding velocity is unlikely to make for suitable material for an actual dangerous explosive device. Unless you intend to stick it in an orifice then light it on fire, can’t really kill anyone with it. So if in 2018, Hungarian + firecrackers = Terrorist, then can you seriously claim that a war criminal charge from the communist era, when the Romanian authorities were even less credible, is a credible citation on your part? The only thing you are doing here is advocating for credibility and justifying all the countless abuses incurred and suffered by ethnic Hungarians in Transylvania at the hands of the Romanian authorities, which as I pointed out continues to happen today. As for Horthy, the negative feelings that Jews have of him are justified. But for Hungarians, he was the last leader who at least tried to right some of the injustice of Trianon. He temporarily succeeded in regaining at least territories where ethnic Hungarians were in the majority along Hungary’s borders, which was in fact just. Israel faces a similar dilemma when celebrating the foundation of their Jewish state, which among other things involved violent ethnic & religious cleansing of the land. One could therefore also understand why for Palestinians the founding leaders of the Jews were criminals, while for the Jews they were heroes, therefore celebrated. Such personalities & events are common-place throughout history. The only question for me is that what the hell the supposedly liberal Mr. Lapid did in “Kövér’s House” back in 2013. At a time, when it already wasn’t very difficult to know what is the “NER-regime” ( literally the “Regime of National Cooperation” as Orban and his one-party state call themselves ) is all about. In Israel too. For instance, Mr Reuven Rivlin, now head of state, previously Speaker of the Knesset, refused to host his “colleague” László Kövér in Jerusalem. Not without reason, concerning the “Nyírő-incident” and other similar symbolic declarations by the highest ranking officials of the regime. So Mr. Lapid’s protest sounds me quite dishonest, and he appears to me not much less a power-hungry, conciousless opportunist then Netanyahu himself. His opportunist U-turn on the issue of separating ( the ultra-orthodox ) Synagogue from the State is also quite notable, concerning that he was one of the loudest supporter of the issue ( beside the weak Israeli Left – basically the small Meretz Party, Labour is a neoliberal traitor of the working-class there too). So Mr. Lapid’s protest sounds me quite dishonest, and he appears to me not much less a power-hungry, conciousless* opportunist than Netanyahu himself. Calling Albert Wass a WWII criminal only shows the true colours of your dubious publication’s malicious anti-Hungarian propaganda. Shame on you. Calling Miklós Horthy a pro-Hitler leader is preposterous. Few people loathed the Führer more than he did. Lucky that your readership is so tiny. Horty’s Hu supported and allied itself with Nazi Germany, joint the Wehrmacht fighting in Yugoslavia and the SU, persecuted and assisted in killing hundreds of thousands of Jews, but all this doesn’t count because of personal loathing. Wass and Nyíro were self professed fascists, antisemites and did incite hatred and war crimes, the latter did much more than incite, which makes them real BAD PEOPLE, war criminals or not. And not anti-Hungarian, but anti-fascist, and not propaganda, but a stance. The jingoistic chovinists and fascists “mely Magyar” smothered the progress of and than pushed the country into two great catastrophes. Now you are at it again and the country is going down already. … such a crap, shall we believe? Six million Jews are few people … or did you think of other few … was not Horthy the only one who hated Hitler? It’s not that the almost dictator Orban and the wannabe Bibi like the fascism or any particular ideology for that matter, simply dictatorships are not/ cannot be very different in the Western world today. These two, and others, are accidental fascists as the techniques and dynamics of power grabbing and holding inadvertently lead to the emergence of fascist or very like kind of dictatorship.